The widow of Pat Finucane has said she believes the full truth behind his murder has yet to be exposed - but when it is, it will affect other families. Geraldine Finucane spoke ahead of the 25th anniversary of her husband’s death. In an interview with UTV television, she said she will continue her fight for a full public inquiry into the horror of what happened inside her own house on 12 February 1989. “I am not angry, I am not angry but I am determined that the truth will be exposed, I mean that is what we have been fighting for all these years - the truth,” she said. Pat Finucane, who was 38, was shot dead by a British death squad at his north Belfast home as he sat down for Sunday dinner with his wife and three children. The British Prime Minister David Cameron has apologised for collusion between the British Crown forces and loyalists in the murder, but the details have never been made public. The assassination of the high-profile defence lawyer followed just weeks after allegations in the British Parliament by Minister Douglas Hogg in the government of Margaret Thatcher that “some solicitors were unduly sympathetic to the cause of the IRA”. It’s a recognised practice to throw muck but in Pat’s case it didn’t stick because it wasn’t true in the first place”, his widow says today. Mrs Finucane, who was also injured as the killers opened fire, still lives at the same address - something which she says can surprise people. “Sometimes people are surprised that I stayed in this house when something so dreadful happened, but it was my home and I didn’t want the people who had murdered my husband to put me out of my home,” she explained. She still grieves for the years her family were deprived of their father or grandfather. “Twenty-five years on he is not here to enjoy his grandchildren, do with them what he did with his own children and that does make me very sad,” she says. In December 2012, a 500-page report into Pat Finucane’s death - ordered by Cameron as a substitute for a full public inquiry - found that agents of the British state were involved in the murder and that it should have been prevented. It also claimed that there was no state conspiracy in the fatal shooting of Pat Finucane, but admitted to “shocking” levels of state collusion. 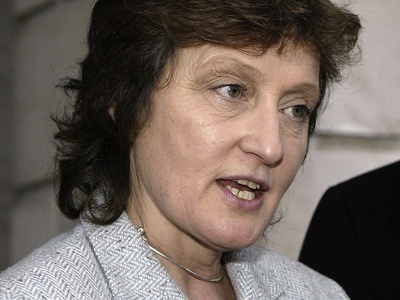 At the time of the report’s release, Mrs Finucane said her family had been “misled and humiliated in a cruel and unnecessary fashion” when they were invited to Downing Street in 2011, only to be told that there would be no public inquiry, but instead a review. Amnesty has described the British government’s refusal to hold an independent inquiry into the murder of Belfast solicitor Pat Finucane 25 years ago as “not only cruel, but positively sinister”. Mrs Finucane travelled to the United States this week with her son Michael as they continue with their campaign for an inquiry, before returning to Belfast on Tuesday to unveil a new mural dedicated to Pat Finucane. A dignified, silent vigil was organised by Relatives for Justice for the Finucane family - Pat’s wife Geraldine, his children Michael, Katherine and John, timed for 7pm to coincide with the time the gunmen arrived 25 years ago to wreak havoc and devastation on a defenceless family enjoying dinner. Asked what she would say to David Cameron now, Geraldine Finucane replied: “The same as I had said to him at the meeting - that he chose a wrong path, the review was not the way to move forward and he should have been strong enough and brave enough to order an inquiry.